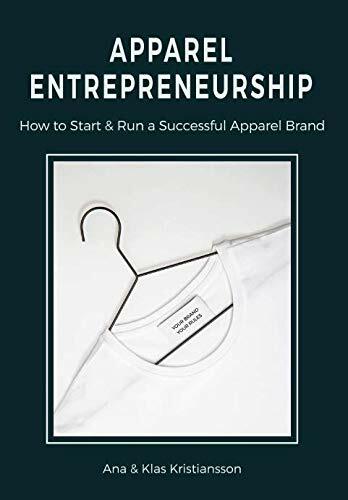 Apparel Entrepreneurship is an indispensable manual, an inspirational and educational book that will guide you in the achievement of starting and running a successful apparel brand. This book provides you with hands-on tools, business education, and actionable steps to achieve it. It also gives you valuable advice, tips, and tricks that they don’t teach you in school, as well as telling you HOW to implement it in your business. You will learn the full process from idea to market launch and beyond, get extensive content that will make you take full ownership and grip of your business and entrepreneurship. You who already work in the apparel industry can deepen your knowledge and improve areas of your business where there are competence gaps. Align your business with your highest values and take your brand to a whole new level. New entrepreneurs can gain years of trial and error work, and avoid costly rookie mistakes. In the 21 chapters, you will learn how to advance your apparel business in a time and cost-efficient way. 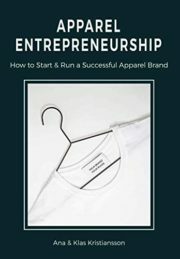 The book offers detailed guidance and specific action plans focused on:BUSINESS START-UPEntrepreneurship, Administration, Idea & Customer Need, Market Scan, Business Plan, Branding, Money, TeamPRODUCT DEVELOPMENTDesign, Collection, Sourcing, Pattern & Prototype, Pricing, Production, SustainabilityMARKETING AND SALESSales, Order, Shipping, Marketing, Customer Service, After The LaunchThis book is also suitable as course literature on education in fashion and textile studies.